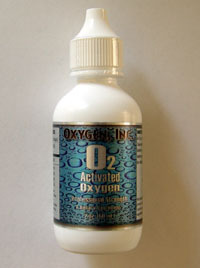 O2 Activated Oxygen is a product like no other. Initially developed for commercial waste water purification purposes, the engineers behind O2 Activated Oxygen quickly discovered a dynamic range of uses and benefits, from cleansing the skin to boosting energy levels. O2 Activated Oxygen's balanced pH, non-toxicity and high oxygen content make it the most versatile and safest concentrated oxygen supplement available today. And, because it can be used both internally and topically, it has become a universal oxygen delivery system.